Paul Newman wearing his Rolex Daytona, which sold for $17.7+ Million. 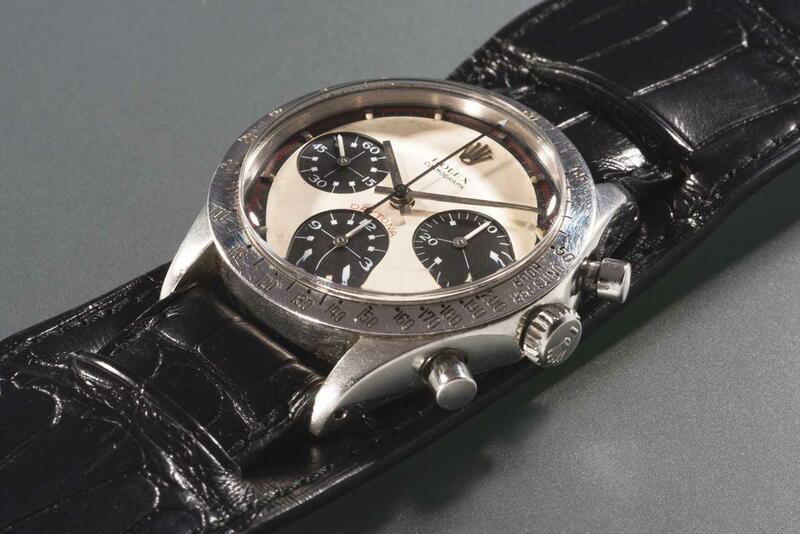 Last night in a short 12 minutes, a record was set for the Paul Newman Rolex Daytona wristwatch as the highest priced Rolex sold at auction. This was not just any Paul Newman Rolex Daytona — it was the one that actually belonged to the actor and racecar driver. It is the watch that started the Paul Newman Rolex Daytona craze that has plagued watch lovers for decades. With a starting bid of $1 million, the second bid came in a split second: $10 million. After 12 minutes of bidding at the inaugural New York auction by Phillips in Association with Bacs & Russo “Winning Icons – Legendary Watches of the 20th Century” the hammer price for the watch went at $15.5 million. With the buyer’s premium added on, the final price is a record-setting $17,752,500. 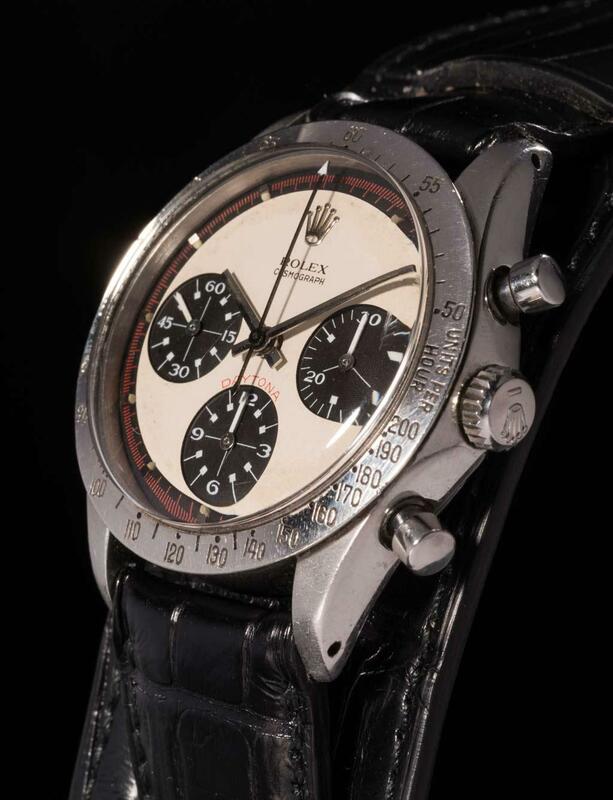 Paul Newman Rolex Daytona, Lot 8 at Phillips Auction in New York. In total last night’s auction brought in $28+ million in sales with a host of important watches also up for grabs, including an Omega Alaska III watch, and some other rare pieces. Of course, the Paul Newman watch was the clincher. That Rolex Cosmography Daytona Ref. 6239 watch was given to Paul Newman by his wife Joanne Woodward in 1968 during the filming of Winning. Crafted in stainless steel, it has an exotic, three-color dial that features a cream-colored dial with black subdials and the word “Daytona” written in red. 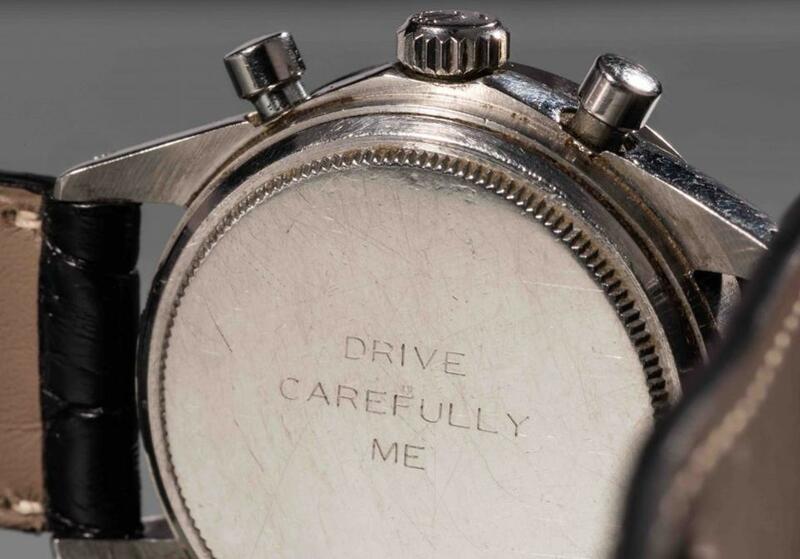 The caseback of the Paul Newman Rolex Daytona that sold for $17.7+ milllion is engraved with “Drive Carefully Me” from Joanne Woodward. The back of the watch is engraved: “Drive Carefully Me.” Newman wore the watch (purchased new for about $300) faithfully until 1984, when he gave it to James Cox, the boyfriend of Newman’s daughter Nell. A portion of the proceeds go to the Nell Newman Foundation and a portion of the sale also goes to benefit Newman’s Own Foundation. 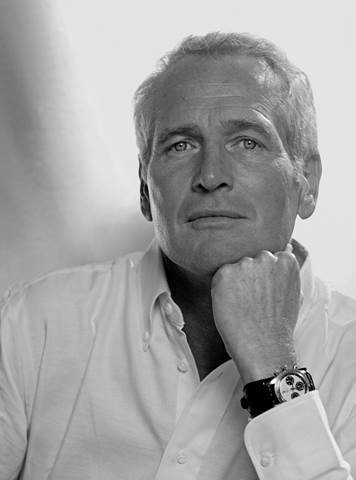 Phillips in Association with Bacs & Russo says the long-standing association between Paul Newman and his Rolex Daytona is what led that watch to being one of the world’s most sought-after mechanical watches of all time. At the auction, Aurel Bacs said this is probably the most iconic and legendary watch of the 20th century. Bacs also made a comment that the watch would not be going up for sale again since he knew who was bidding on it — leaving most of us watch lovers to believe Rolex may have purchased the icon back for its museum.